Okay time to move on to another game besides Transport Tycoon (we'll return with a couple of tracks from the Transport Tycoon Deluxe soundtrack at a later date). Now time to move on to the weird but surprisingly awesome fusion of Gregorian chant, 90s electronic music and 80s rock guitar riffs that makes up the Entomorph soundtrack. 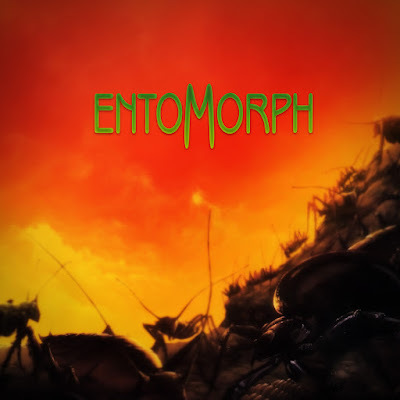 Entomorph is a little known RPG from the 1990s set in the fantasy world of Aden. It's a strange world full of giant insects that humans co-exist with. I unfortunately don't remember much of the story since it's been such a long time ago since I've played the game. Anyway, I'll be sure to post more about the game through these VGM videos. There isn't much info out there on what the actual names of the tracks are so I'll place wherever you hear the music in the game in brackets (at least from what I remember). So the first one we have is a short track that plays during the intro video for the game. It starts off beautifully at first as you see a large beetle-like creature cross a field but then pans up to an ominous swarm of giant bees. The track ends rather abruptly, coinciding with the bees attacking a human village.